To some, the Kardashian family is the picture of fame, fortune, and glamour. But the entire family has also been outspoken about the loss of family patriarch Robert Kardashian, who passed away from cancer in 2003; 13 years ago Friday. Kim Kardashian honored her late dad on her app and website — as did sisters Kourtney and Khloé Kardashian — with a heartwarming, emotional video of their father that reminds us all that such a loss is universal. "Our dad passed away 13 years ago today and we miss him every single day but today we wanted to share with you a glimpse of who he was," Kim wrote on her website. "It was hard to find footage of our dad since he loved to film us and was always behind the camera but here's a little look into who he was to us..."
The sweet video is spliced together with clips from the Kardashian family's home movies, which really do an excellent job in portraying just how much Robert loved his children. It's evident in the way he interacts with every single one of them, and especially when he asks a timid, young Kourtney and Kim, "What do you two beauties have to say to your daddy on this Sunday?" While the Kardashian-Jenner family undoubtedly catches a lot of flak in the public eye, this video is a down-to-earth reminder that the family has suffered tremendous loss and at the end of the day, they are people just like you and me, wanting to honor someone who they love and miss dearly. 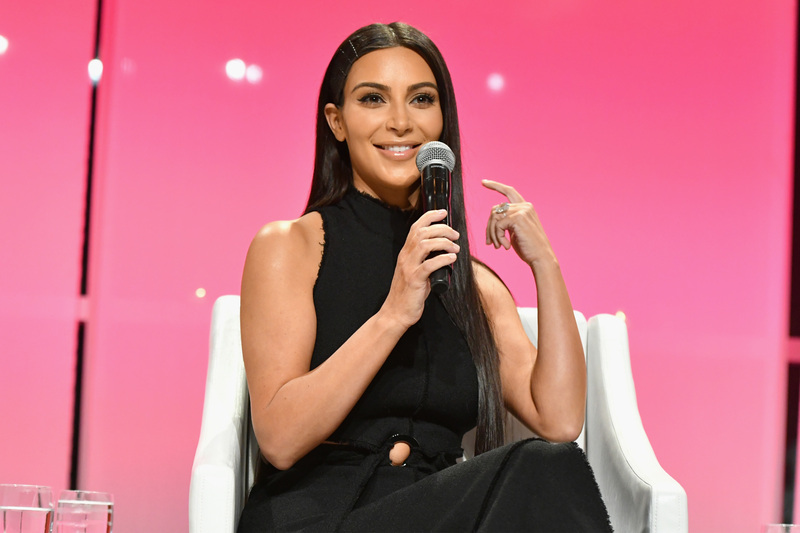 To say that the video humanizes the Kardashians is perhaps not giving them enough credit, but it certainly shows a side of the family that anyone who has dealt with a difficult loss — particularly the loss of a parent — can relate to. In fact, it was the loss of a parent that Kim and Kanye West bonded over when they first started dating. "It’s very comforting to have someone that knows everything about you, that respects you, understands, has gone through the similar things," the reality star told Oprah Winfrey in 2012. "I can really relate to his mother passing. He can really relate to my father passing. I mean, there’s so many similarities in our life that… I feel like I’m at a really happy, good space." It's certainly meaningful to the Kardashian siblings to honor their dad in this way.